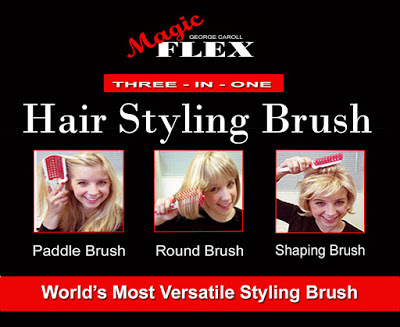 Magic Flex "World's Most Versatile Hair Styling Brush"
As long as people have had hair there has been a need to tame tangles and help arrange and style it. 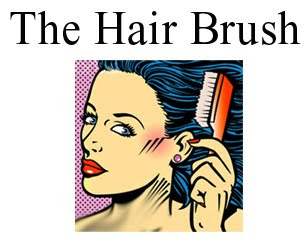 For these reasons hair brushes have been around for thousands of years, but changed dramatically in the mid 20th century with the introduction of space age plastic, flexible rubber, synthetic fibers and ionic ceramic composites. What started out as a very basic grooming implement has morphed into a highly specialized grooming and styling tool to complement the use of hand held blow dryers and modern styling effects. The Magic Flex Hair Styling Brush is an example of the new hair brush technology at its best combining three of the most popular styling brushes in one: Paddle Brush, Round Brush, Shaping Brush, plus a built-in-styling comb. The Magic Flex three-in-one Styling Brush is made of a durable heat resistant flexible composite that's easy on the hair and scalp making it ideal for blow dry hair styling and today's hair styles. Its adjustable flexible handle allows it to fold "open and closed" and spring back to its original flat Paddle Brush shape like magic. The air flow net speeds styling protects hair from direct heat and helps dry hair in place. What's more, the Versatile Magic Flex Brush is the only brush with a built-in-styling comb and includes a unique "retainer clip" designed to hold it "open" for use as a round brush and "closed" when not in use, making it ideal for travel. One hair styling brush does it all ! 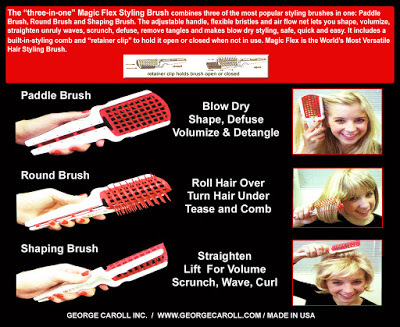 "world's most versatile hair brush" and a Hollywood hair styling beauty secret. 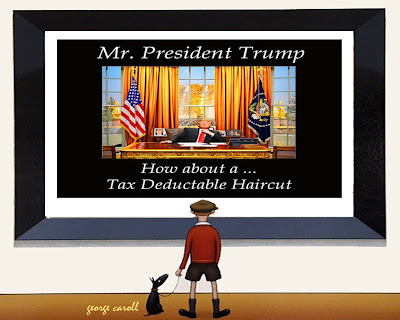 Mr. President with the high cost of professional grooming today only a small percentage of the population can afford to visit a beauty salon or barber shop. 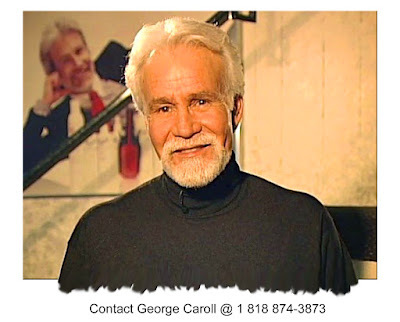 As a result the vast majority of American's have never experienced as you have what personal enhancement can do to build confidence and improve their appearance both physically and emotionally. To make this healthy personal care service affordable for every citizen along with your tax reform program how about including a tax deduction for professional grooming. 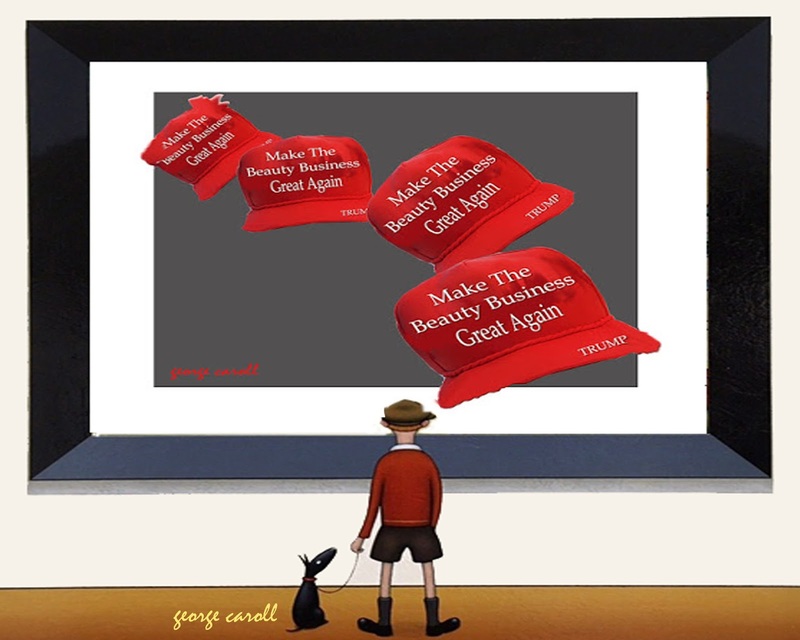 A $500 per year tax deduction for everyone would go along way to cover the basic cost of personal enhancement. 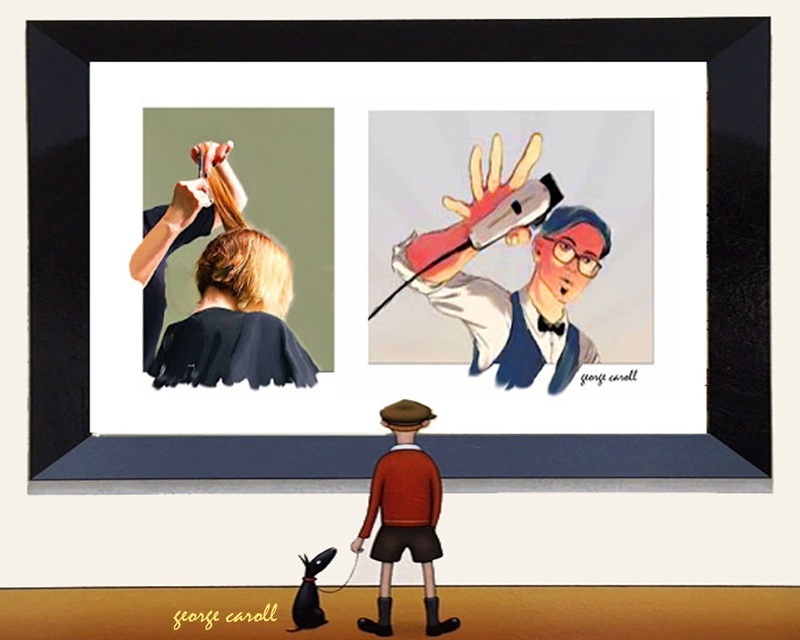 A regular visit to a salon or barber stylist provides much more then a haircut. As the saying goes, when you look good, you feel good about yourself. This is the essence of what the professional beauty industry provides. A tax deduction for personal care would not only help everyone afford to look their best but would also jump-start the economy, stimulate the beauty industry and improve America's face value. 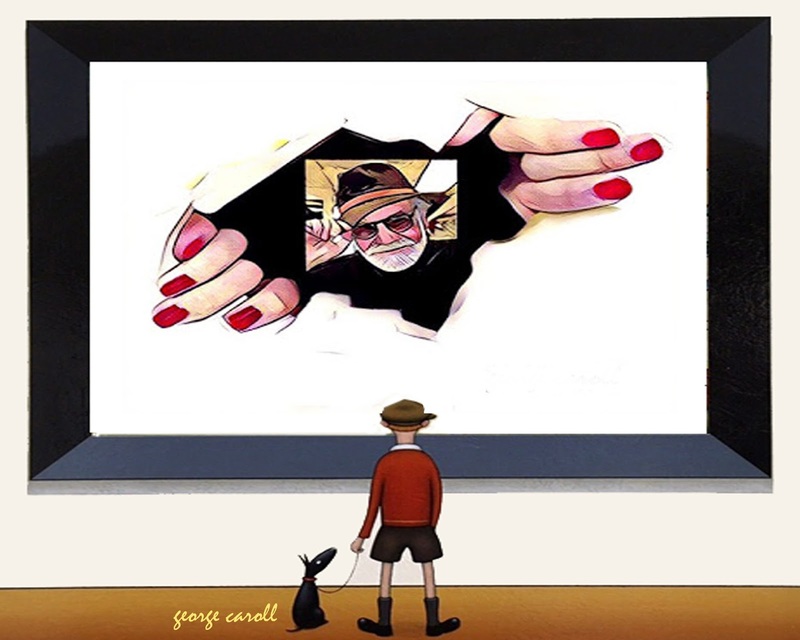 And by the way, the beauty profession is an ideal career choice for all those with an artist’s eye and caring personality. However, the cost to enroll in a beauty college today is out of reach to so many. A tax credit program for cosmetology trade schools would help so many young people enter this financially rewarding career. I'm sure many of you reading this thought provoking letter to President Trump will get a “few giggles” from it. However people in the entertainment industry have been legally deducting personal care services for years. And many corporations and businesses today require their employee's to look well groomed at their own expense and a visit to a hair stylist is a big part of that expense.